Hardback Books | Dr. Justin Imel, Sr.
Over the past few weeks, I’ve been working diligently to publish some of my works in hardback editions. Below are links where you can purchase them. 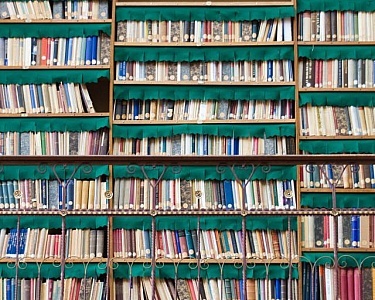 I have striven to make each book as economical as possible. If you use coupon code LULU15 by the end of September 4, 2017, you will receive an extra 15% off at checkout. Order before September 15, 2017, and I will donate HALF of my proceeds to Hurricane Harvey relief efforts. 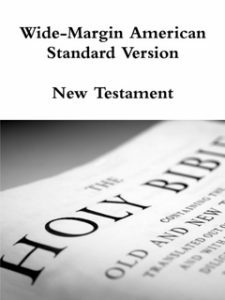 The American Standard Version is a classic text for digging into the depths of God’s Word. The complete Bible, first published in 1901, has been used since that time to seek a full understanding of Scripture. The Version sought—and greatly achieved—a literal translation of the original languages into American English. Because the translation is so literal, it has been treasured as a tool for understanding God’s original intent by those who do not read Hebrew, Aramaic, and Greek. This wide-margin copy of the American Standard Version allows you to study the text in-depth and to make your own notes as you seek God’s will. 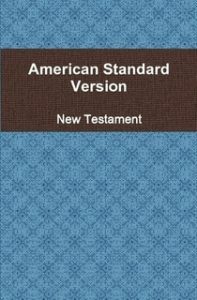 The American Standard Version is a classic text for digging into the depths of God’s Word. The complete Bible, first published in 1901, has been used since that time to seek a full understanding of Scripture. The Version sought—and greatly achieved—a literal translation of the original languages into American English. Because the translation is so literal, it has been treasured as a tool for understanding God’s original intent by those who do not read Hebrew, Aramaic, and Greek. God inspired the New Testament in Greek; therefore, the one wishing the fullest understanding of Scripture will turn to the Greek New Testament. This copy of the Textus Receptus allows you to plunge into the underlying text of the King James Version and New King James Version of holy writ. 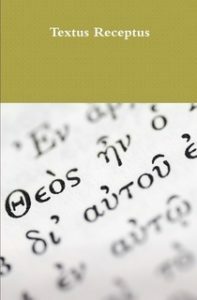 While modern research has greatly enhanced the Greek text from the days the Textus Receptus was widely used, this volume can be helpful as you explore the text of two of the most-loved English translations and as you explore textual changes through the years. This study came about as a result of a decline in churches of Christ and the necessity for elders to seek members who have wandered. The objective of this study was to examine the attitudes of elders in churches of Christ concerning inactive Christians. An examination is made of the responsibilities of elders toward inactive Christians, reasons Christians become inactive, and practical steps elders can take to restore inactive Christians. Nine elders participated in interviews that covered their previous experiences with elders and inactive Christians, their present experiences with inactive Christians, and the meaning they make of those experiences. 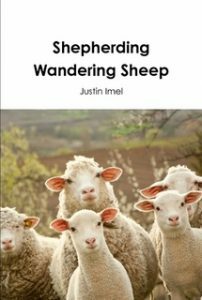 This seminal work on church leadership and inactive Christians provides reasons for inactivity, what church leaders can do to reclaim inactive church members, and looks at how church leaders currently help reclaim their wandering sheep. This entry was posted in author, books. Bookmark the permalink.